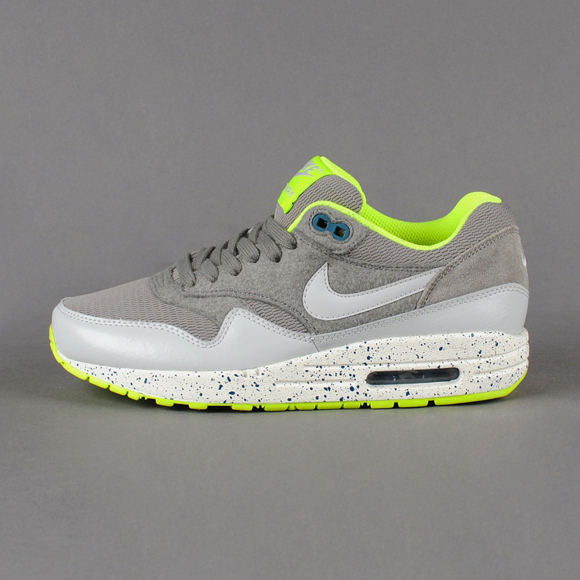 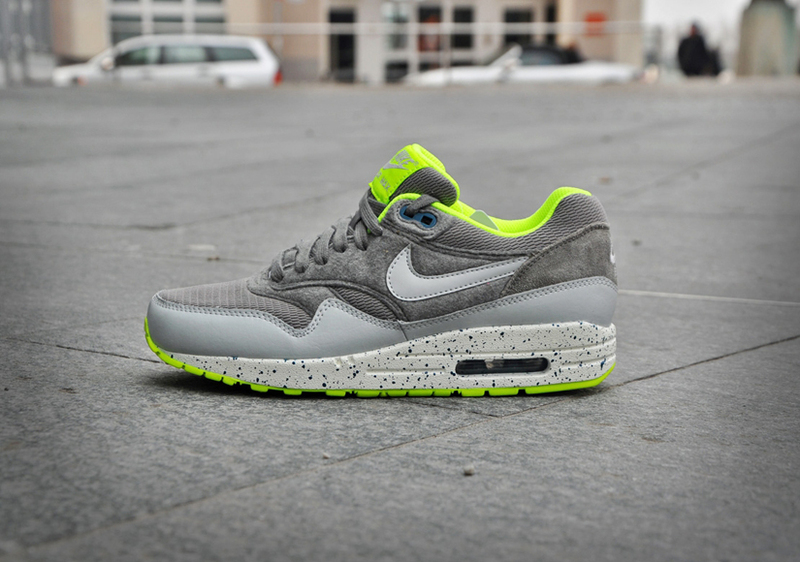 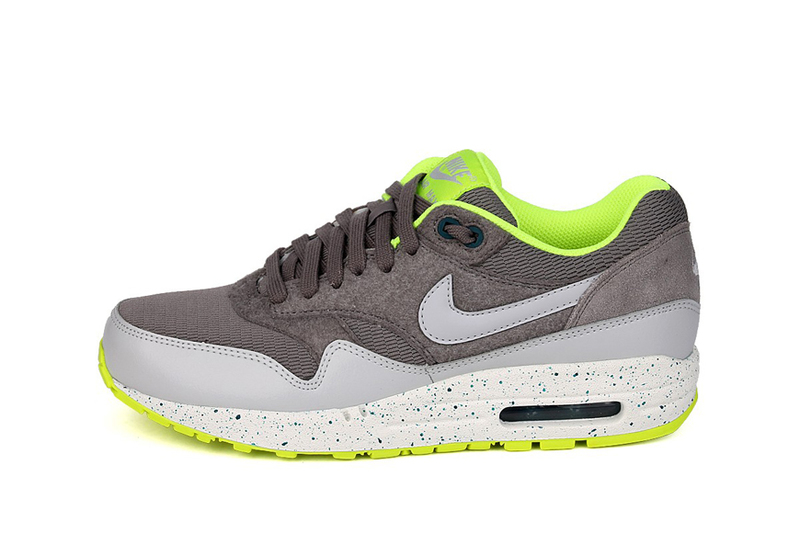 With these Nike Air Max 1 WMNS Canyon Grey & Dusty Grey & Volt you have found the perfect summer shoe! 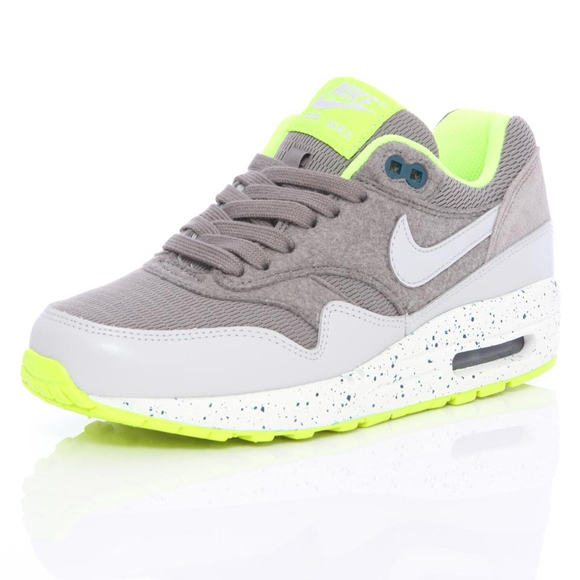 Cheery colours like light grey, bright neon yellow and a white spikkled midsole make you want to wear this shoes for a nice walk in the sun! 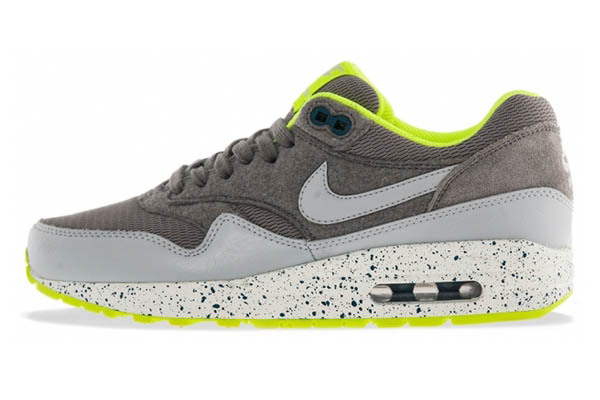 It’s weird though that we emediately think this shoe would be best for the summer, while Nike added this shoe too it’s ‘13th winter collection. 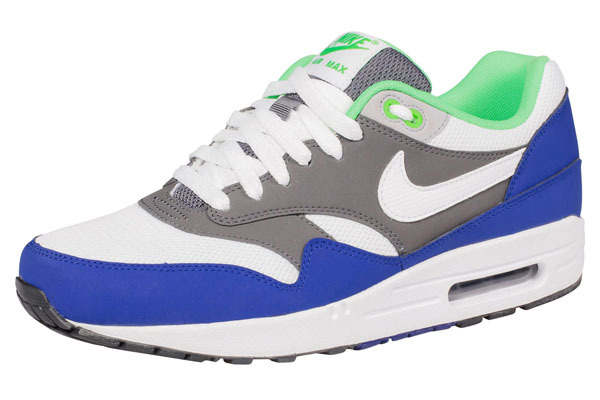 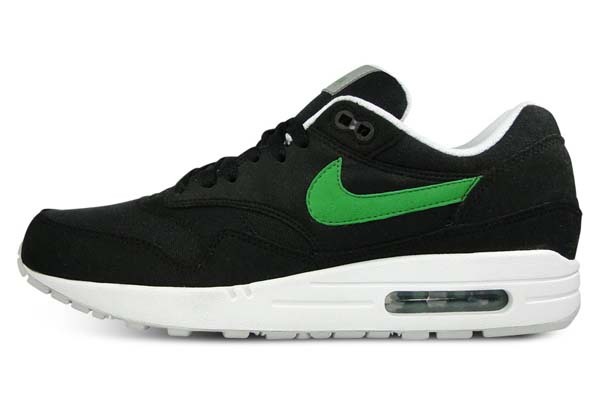 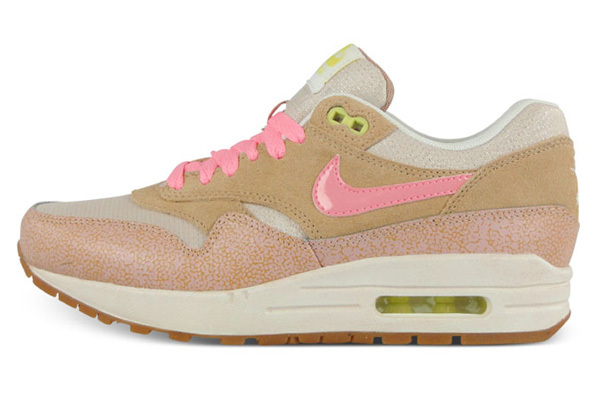 Of cource Nike Air Max 1’s are prefect for every season, but we prefer the summer. 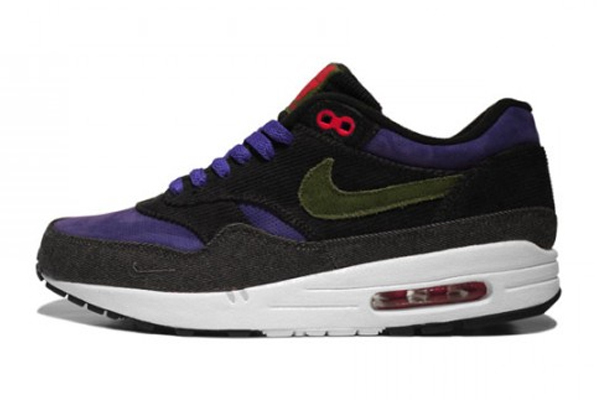 The only thing what makes this shoe more suited for winter is the felt material used on the upper of the shoe. 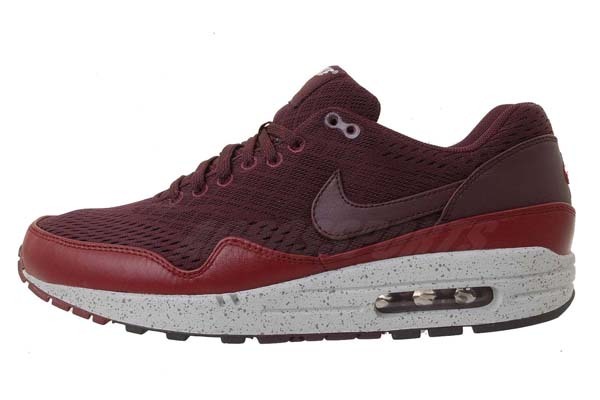 This material has a woolly and warm look too it what makes it more winter like. 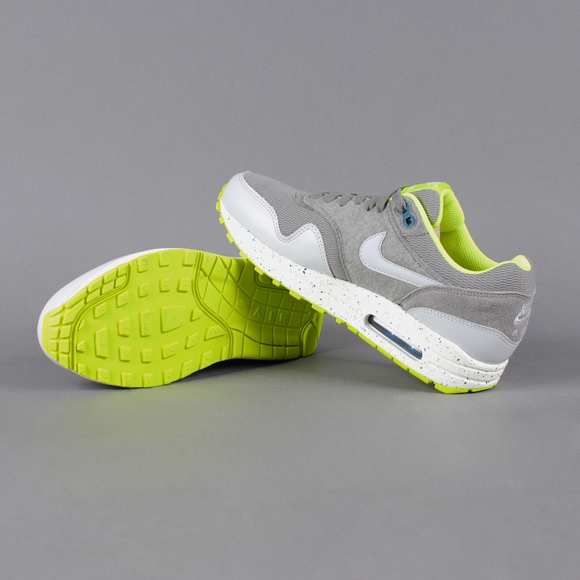 The rest of the shoe consists a Volt coloured (neon yellow) sole and a white spotted midsole with a grey Air-unit. 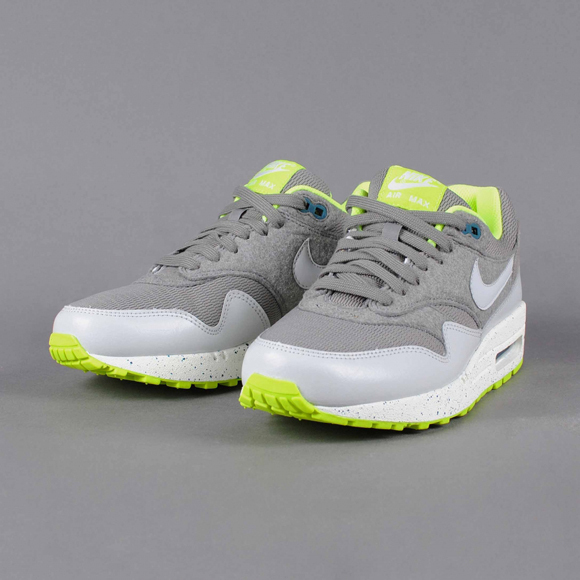 Around the shoe they used smooth light grey leather, same as the Nike sign. 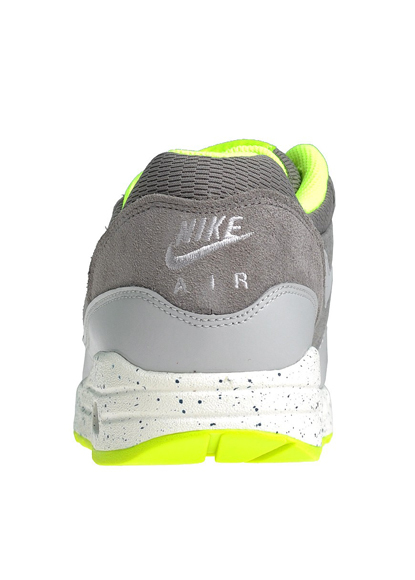 The heel is made of another light grey colour in suede. 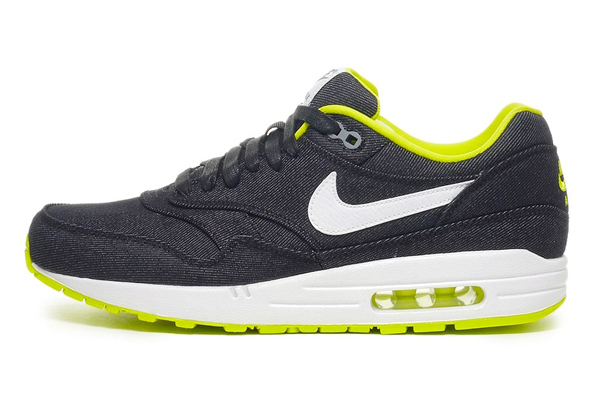 De inner and brandlogo on the tongue is also in the volt yellow tone for the perfect contrast. 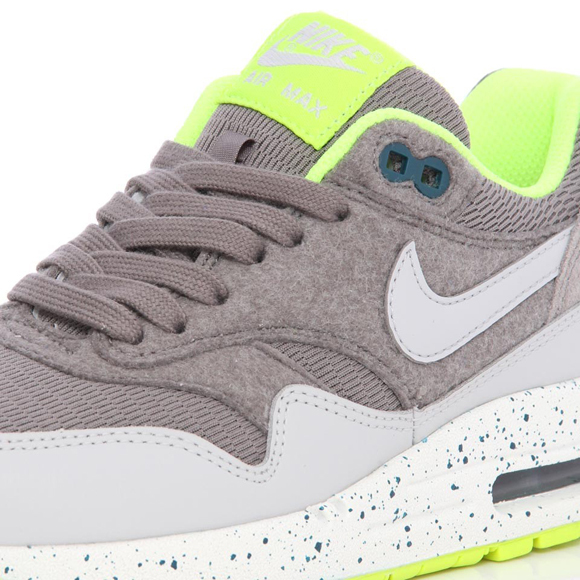 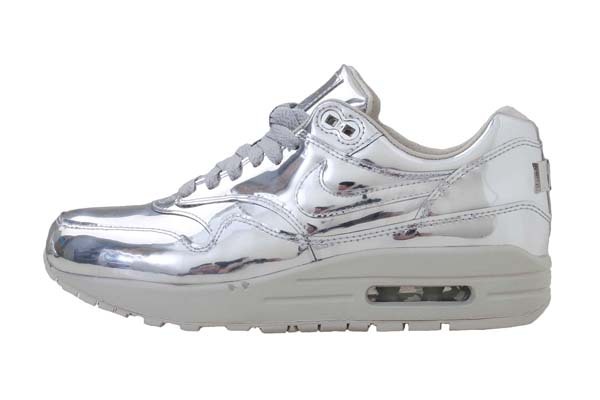 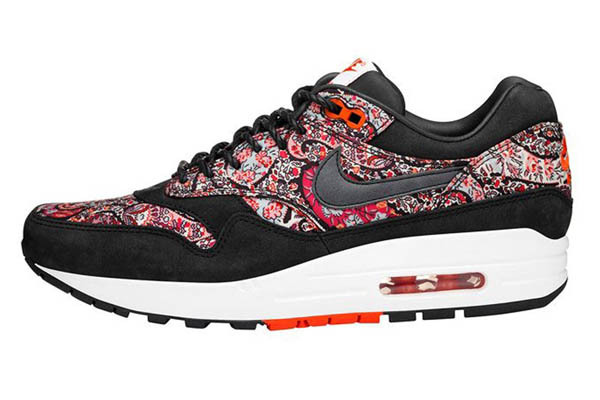 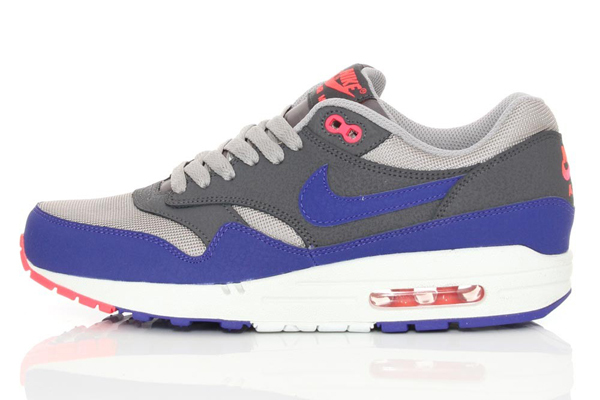 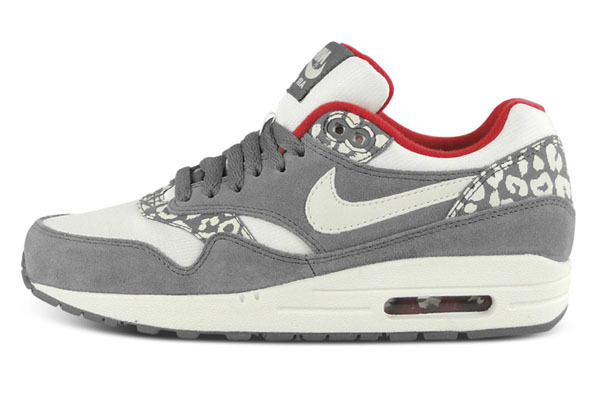 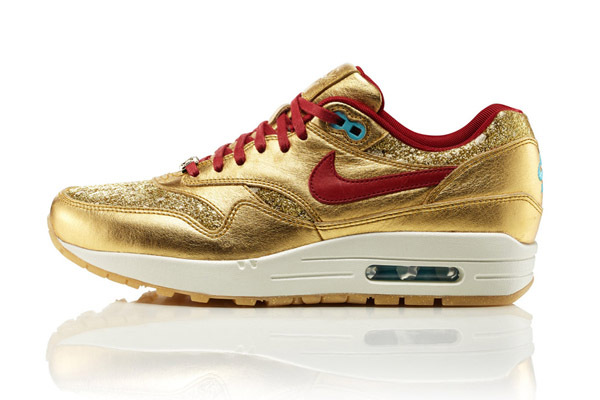 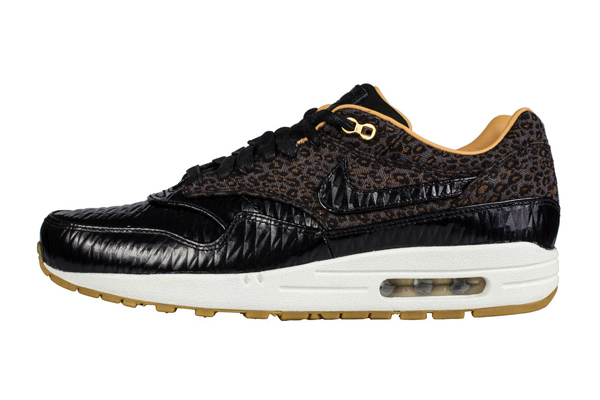 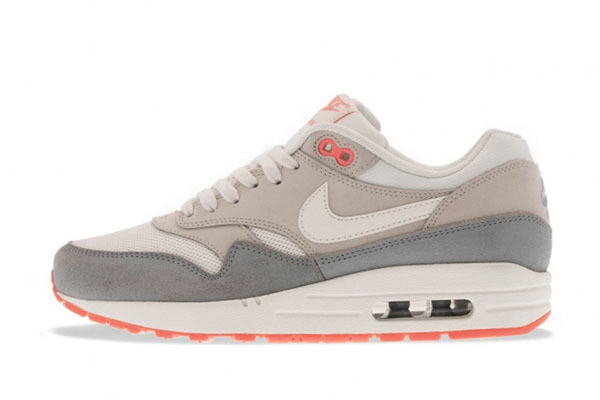 This Nike Air Max 1 WMNS edition is unfortunately only available in womans sizes. 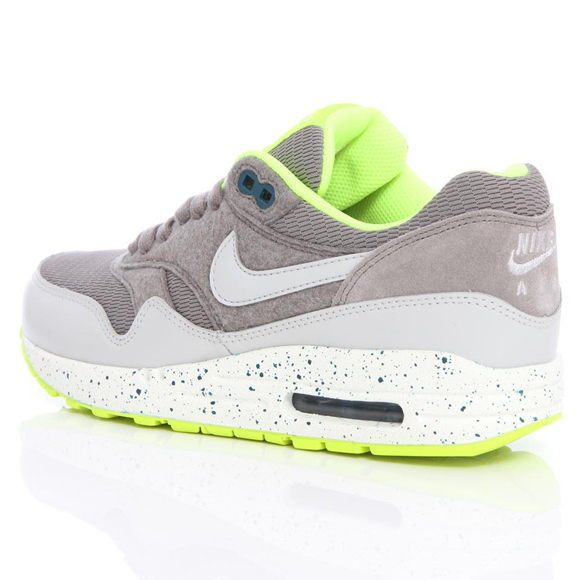 You only get lucky as a man if you have small feet! 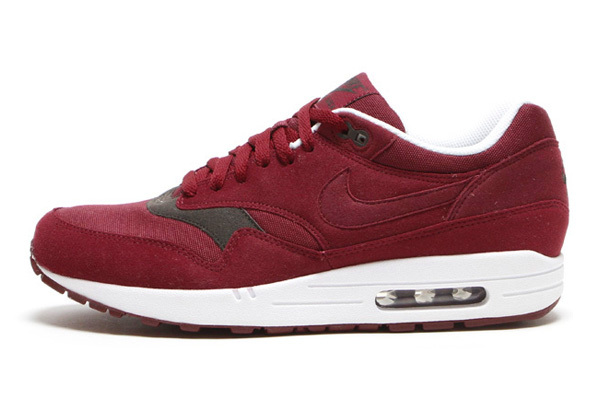 Mark september 2013 in your agenda to pick up your own pair.